We examine the causal relationship between child benefits and household spending on child and adult goods. In particular, we examine whether it matters if it is the husband or wife who controls this income transfer. We exploit the introduction of child benefits to families with at least four children. The law assigned the mother as the beneficiary but, when asked who collected the amount, one-third of beneficiary families reported the father as the recipient. We use the propensity score matching approach to assess the issue of possible self-selection of beneficiary families into answering who was the recipient parent and the results favour common support. We apply the difference-in-difference approach and find evidence in favour of a gender bias in the spending of child benefits. On average, after the reform, recipient families’ spending on child clothing, food and tobacco was significantly different from that of non-recipient families. Further analysis suggests that recipient families with the mother (father) in control of the amount spent more on child clothing and food (tobacco) relative to non-recipient families. The evidence has implications on the design of welfare programmes to benefit the children. 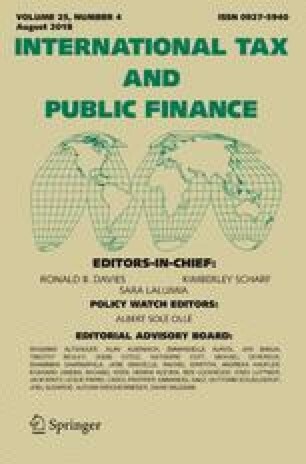 I am very grateful to the Editors-in-Chief, Prof. Ronald B. Davies and Prof. Kimberley Scharf, for their very valuable comments and suggestions. I would like to thank the University of Cyprus for financial support and the Department of Statistics and Research of Cyprus for making available the Family Expenditure Survey data. I am solely responsible for the interpretation of the data and all errors.